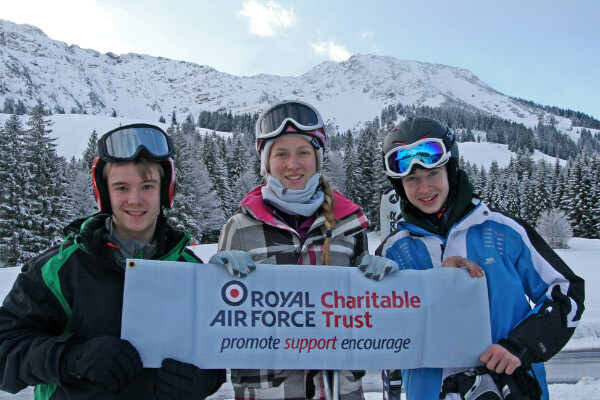 On 14th February 2014, 33 Air Cadets and 9 staff from the South West, set off for Alpine Adventure in Bavaria, Germany. 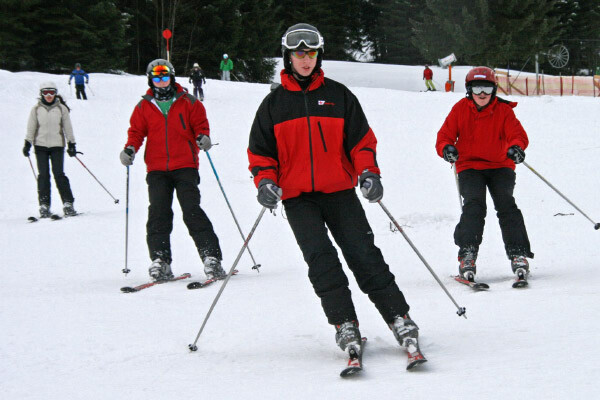 The trip has been running in various forms for over 20 years, and provides cadets with the opportunity learn to ski or improve on their current level of skill, under the supervision of qualified ACO Alpine Ski Leaders. The coach made pickups in Exeter, Dorchester, Eastleigh, Chieveley, Langley and Maidstone en route to Dover. Due to the severe storms on the outbound journey impacting the cross channel ferries, some of the cadets and staff had to endure a journey of 32 hours to reach the Ski lodge in Wertach. However this did not impact the program of activities for the week. The South West contingent teamed up with cadets from Bristol & Gloucester and Aberdeen Wings for the duration of the expedition, operating as one combined party during the ski instruction sessions. After an initial trip to the hire shop on Sunday 16th, cadets were kitted out with Ski equipment and safety helmets and then taken to the Oberjoch ski area to begin their first day of instruction, which is situated at a height of 1000 metres above sea level. Oberjoch is a large resort with 12 lifts that offered cadets an impressive 500 metres of vertical descent on a range of 24 Blue, Red and Black pistes, totalling 32 kilometres in length. It is ideal for the complete novice skiers in the group and provides challenges for those with more ski experience. The weather was good and there had been some snowfall the previous night, meaning that ski conditions were ideal for all abilities of skier. The evening program included a quiz night and the chance to unwind after the ordeals of a long journey and the first day’s skiing. The second and third days of ski instruction were also at Oberjoch, straddling an evening at the local swimming activity centre in Sonthoffen. The fourth scheduled day of skiing was impacted by low level rain, so cadets were taken to a much higher ski resort at Ifen in Austria. Ifen is around 2000 metres and is the second largest in the Kleinwalsertal region, with the most popular runs being located at an elevation between 1600 and 2030 metres. The weather at Ifen was rather cloudy, windy and snowy, which was not ideal for teaching cadets, meaning that the fourth day of skiing was finished early. The evening involved a trip to the Untergassen rifle club, where cadets were given the opportunity to take part in an air rifle shooting competition and experience the local custom of Bavarian leg wrestling. 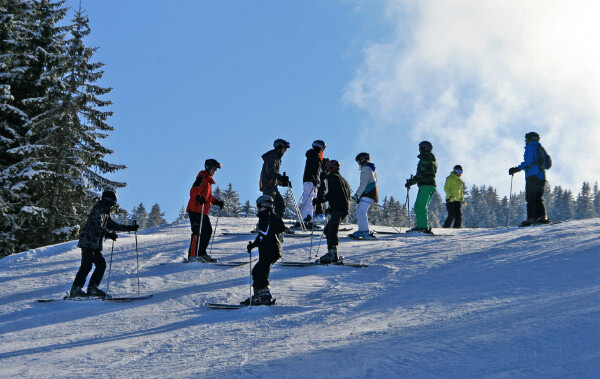 Thursday February 21st saw the fifth day of ski instruction at the Balderschwang resort, which has a series of challenging pistes between 1500 and 1020 metres in height. The weather was superb, with clear blue skies, brilliant sunshine and fresh snow. Unfortunately during the afternoon, 2 cadets from our party suffered slight injuries, requiring a medical check up: one of them, Cadet Libby Parsons, was taken to Immenstadt Hospital in a Eurocopter Air Ambulance as it was late in the day and traffic would have been bad. Following a thorough medical examination, both cadets were released from hospital, with no serious injuries, but sporting precautionary leg supports and crutches. Thursday evening is always the night for the cadets to party, with entertainment provided by the staff on the trip, a series of games and a disco at the Moosbach village hall. During the evening, the ski leaders presented the cadets in their groups with their snow life awards based upon the level of ski ability that they had attained during the week. 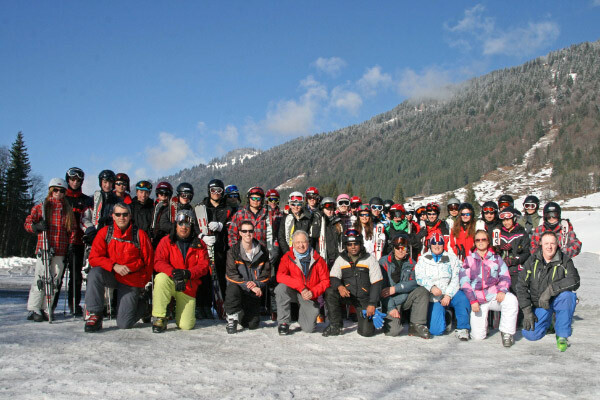 The sixth and final day of ski instruction and activities took place at Jungholz in Austria. After a morning of familiarisation on the slopes, the cadets took part in a ski themed treasure hunt in their ski groups. As the day went on, the weather closed in, however the cadets were able to finish the full day of skiing and then took their equipment back to the hire shop. Friday evening was the last chance for cadets to pack for the return trip and socialise before the early departure in the coach back to the UK. The trip again proved to be a great success, building on the previous year’s experience and receiving great feedback from both cadets and their parents alike. 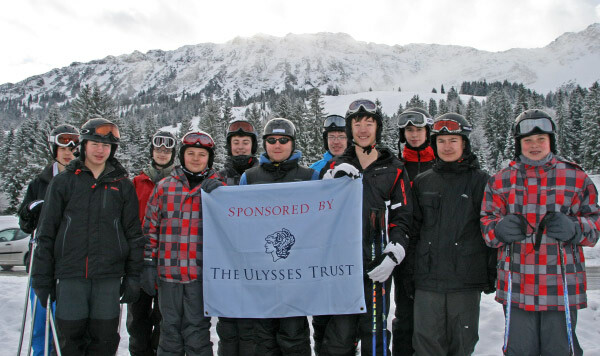 This expeditons was sponsored by the Ulysses Trust and the RAF Charitable Trust.